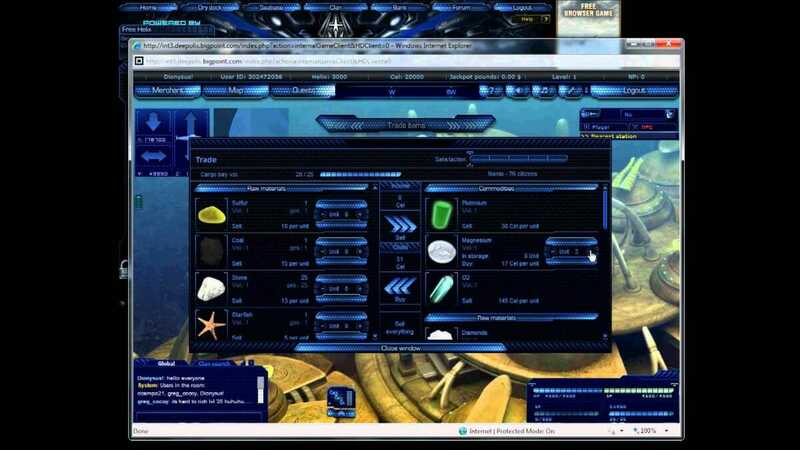 Deepolis is yet another MMO browser based game that has been developed and published Bigpoint and is centered around an underwater civilization that is found on an alternative earth. Whilst the genre of game is hardly unique, it has to be said that the theme is. Once players have signed up they are prompted to select a faction to represent. 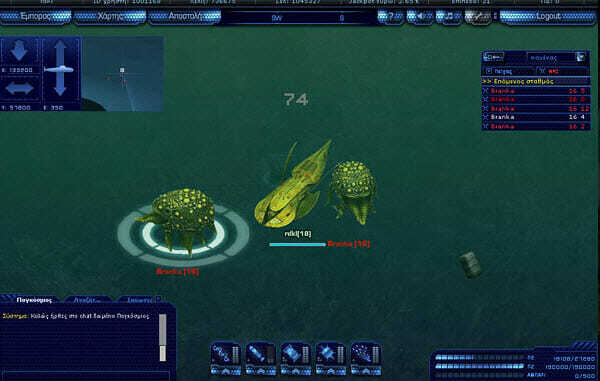 There are three factions in total and each of them are fighting to control this newly formed underwater environment. The factions are the Nauts, Scion and Jafnhar with each offering their very own technology levels and back story. Whilst you might think this decision is very important in the beginning it actually isn’t. You have the ability to change factions at any time until you reach level five. This allows you to try each of them out before you make your final decision. 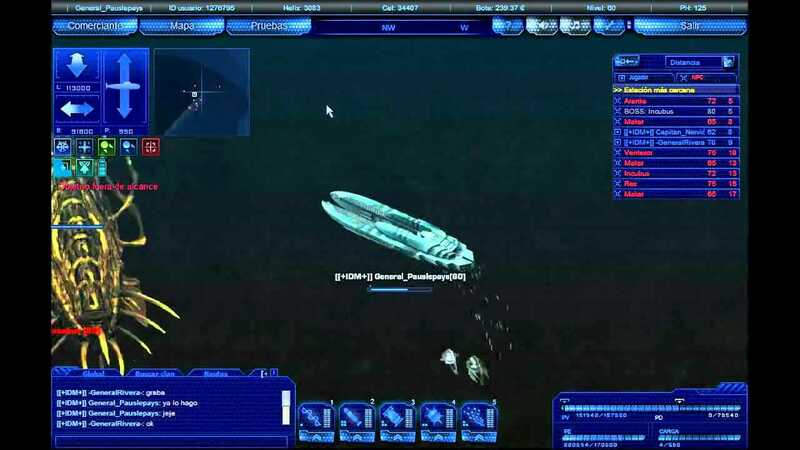 Once you have chosen that faction you are sent into the game where you find yourself underwater and in control of a submarine. You will see sea life swimming all around you as you are shown the contros to move around. 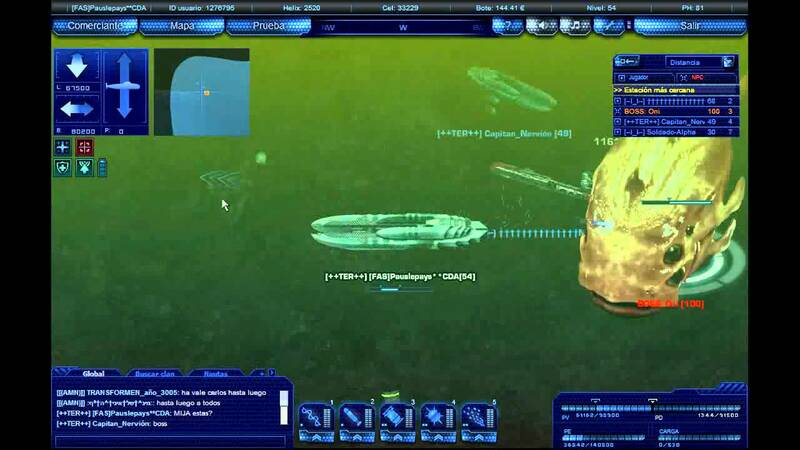 You will quickly realize that your submarine is very standard. 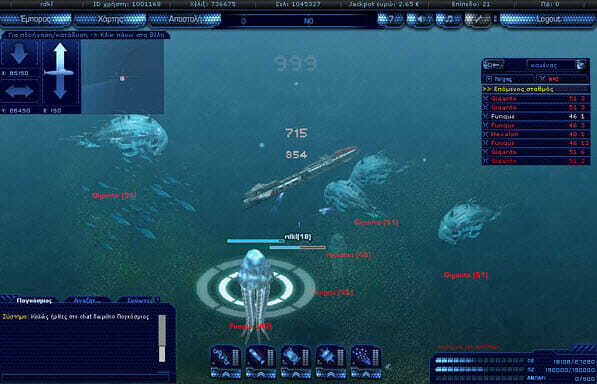 Whilst it has two weapon types like all of the other submarines in the game, they are weak. 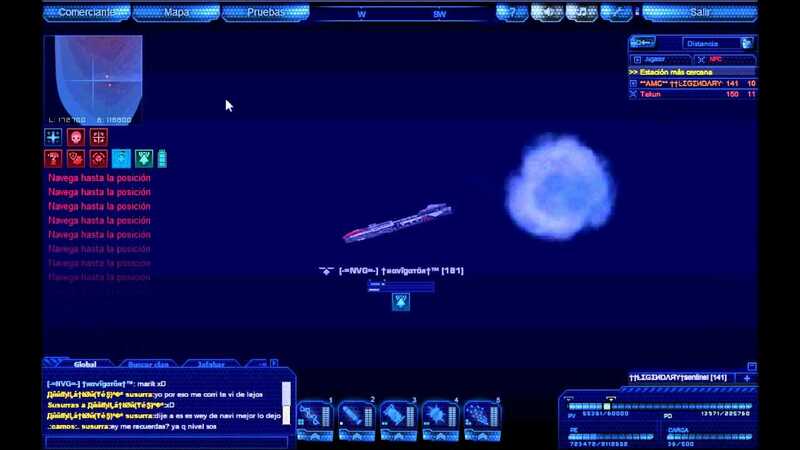 The two weapons are sonic cannons and torpedoes and you will discover that each of your ammo has different levels. This is because there are four levels ranging between one and four that represent the power of the ammo. The sea monsters you encounter early in the game are not really much to worry about and you can kill them off quite quickly. 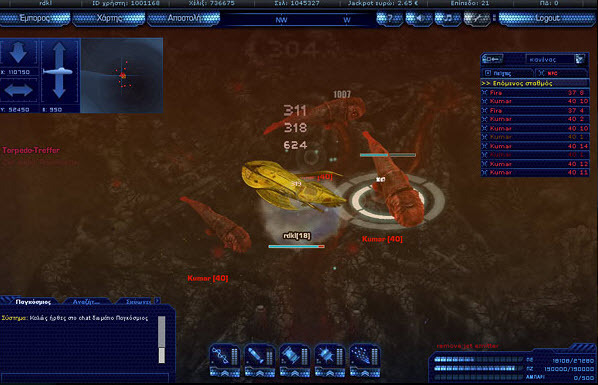 Killing them will reward you with experience and the chance to collect salvaged resources. You will notice that during the early part of the game that leveling up is quite easy, especially if you undertake the many quests that are on offer. Make sure you watch your level though as you have to remember that once you hit level five you can longer switch factions. Once you run out of ammo or have collected so many resources that your cargo hold is full, you will have to make your way to a deep sea station to sell your cargo, stock up on ammo and perhaps purchase upgrades for your submarine or even replace it. Do remember that the stations will all be owned by the different factions, so make sure to head to one that is owned by your faction. There are two main currencies in the game and you guessed it, one is a premium currency. The currency ‘Cel’ is the currency found in the game that does not require money to purchase and this is used to purchase your ammo and upgrades. ‘Helix’ on the other hand is the currency that although is possible to get in the game, it is very rare. You can purchase this currency and it is used to get special bonuses and items. Though premium currencies are frowned upon they really are required to keep games running, so try not to let it bother you too much. The game in general is fun to play and it offers an open PvP which means you can attack or be attacked at any time. To this day, it’s been almost 5 years, my dear Deepolis. I miss you, every day.. Ahhh, what i wouldn’t give to see this game back in action, with the few, most amazing people in my clan.. And a caring community.. Seriously, this game was such a big part of my life, back in the day. Lol.